This handy guide covers all of Keynote for iOS, Apple’s chart-topping presentation app tuned to work with your iPad, iPhone, and iPod touch. If you’re coming from Keynote for Mac or Microsoft PowerPoint, you’ll find all the steps needed to transfer your presentations and make a painless transition from point-and-click to tap-and-drag. Use just your fingers to create presentations with text, lists, tables, charts, graphics, and media. Create presentations and slides based on Apple’s professionally designed themes or your own custom themes. Store presentations in iCloud or third-party cloud locations such as Dropbox or Google Drive. Use Handoff to pass presentations seamlessly between your Mac, iPhone, iPad, and iPod touch. View or restore earlier versions of your presentations. Organize your presentations into folders. Restrict access to your presentations by password-protecting them. Use the slide navigator to skim through your presentation and manage slides. Reorder slides individually or in groups. Show or hide slide numbers. Skip slides that you don’t want to show. Zoom slides for detail work. Print presentations wirelessly from an AirPrint-capable printer. Edit and format text and use the built-in editing tools. Add comments and highlights to your work. Use paragraph and character styles to maintain a consistent look. Create bulleted, lettered, or numbered lists. Embellish your presentations with photos, videos, text boxes, arrows, lines, and shapes. Add a soundtrack to your presentation. Organize, format, and sort text or numbers in tables. Chart your data to show trends and relationships. Enliven your presentations with animations and special effects. Play a presentation on your iPad or stream it to an external display or projector. Drag your finger to simulate a laser pointer. 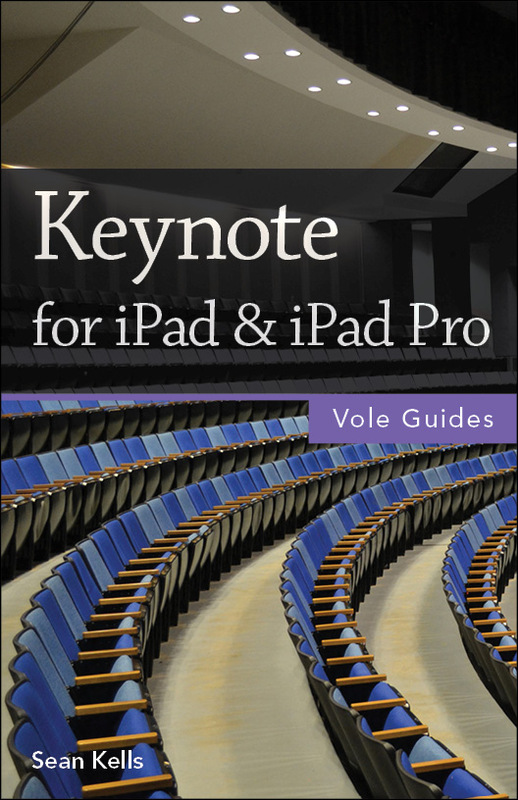 Use Keynote Remote to control presentation playback from your iPad, iPhone, or iPod touch. Add presenter notes to any slide to remind you what to say. Create autoplay slideshows and viewer-guided slideshows for kiosks. Export Keynote, PowerPoint, or PDF files. Import Keynote or PowerPoint files. Send copies of presentations via email, Messages, or AirDrop. Transfer presentations via remote server. Use iCloud to store, share, sync, or collaborate on presentations online.